For the first time in 10 years, twin siblings Amy and Ben Goodes aren't going to the same school. Not atypical, but what raises the stakes is Ben has autism. This segment is part of our season-long series Adaptation looking at the surprising, innovative, and sometimes ill-advised ways we accommodate a rapidly shifting world. For the first time in 10 years, twin siblings Amy and Ben Goodes aren't going to the same school. Not atypical, but what raises the stakes is that Ben has autism. Over the years, he has turned to his sister for support. She, in turn, sees Ben as a source of identity. "I'm worried that I don't know exactly who I am without him around," Amy says. "Ben has defined who I am in a lot of ways. I'm known as Ben's sister. Like, obviously, people know me by name, Amy. But If I'm just meeting them or if we haven't formally met, they will say, 'Oh, you're Ben's sister.'" When Ben acts out, Amy is the one people come to for help. She goes to his quiet room to comfort him or Ben comes to her class to reach out for support. "I guess I'm also scared that I'm not going to be there for Ben anymore." When it comes their relationship, Amy says "complex" is the best word to describe it. "We try and get along. It doesn't always work out that way. That's the ying and yang of us, of twins, of a regular sister with a brother who has autism." Amy is starting Grade 9 in a new high school. Ben is going to a private school for kids with autism. He's not convinced it's the best option. "I don't want to be in some private school. I don't want to be in some weird school. I want to be in school with my friends," he says. Ben says he's treated differently and worries about being bullied. "Sometimes people, just like, they treat me like I'm a baby just because I have autism. Like they talk to me like a toddler, or a puppy, and that's not very nice." Amy tries to reassure her brother, but she also needs her own guidance to help with her high school journey. For that, she turns to her friend's "cool" mom, Crystal Asher. "This is a time in your life when you need to be selfish. 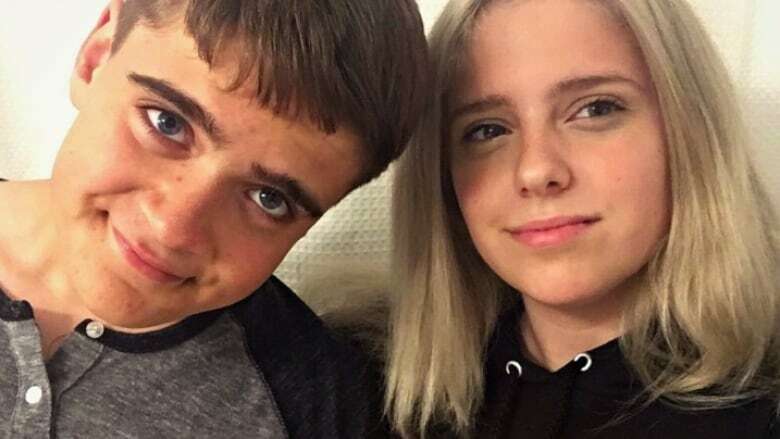 I never thought I'd be telling a 14-year-old that she needed to be more selfish, but I think you going to a different high school than Ben is going to facilitate you finding out a lot more about you as an individual," Asher advises. "So much of the world relates to Ben in terms of his disability, you know, his difference ... and I wonder how you feel about your otherness," she asks Amy. 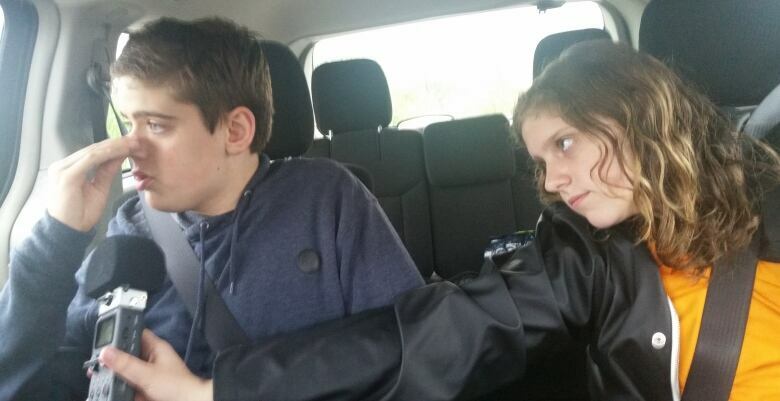 It's something Amy has thought a lot about — her behaviour — "since Ben has autism, I do have to force myself to be more normal." "I watched videos on how not to be weird. I would look it up," Amy says. "Every time I acted out, or someone looked at me weird, I would wonder, 'Oh, do I have autism?'" Ultimately, the first day of school doesn't bring any clear answers but shows the possibility of a way forward. "Do you think that when we go to separate high schools, that our relationship is going to change at all?" Amy asks her brother. "I think we will be closer because we won't see each other as often," Ben answers. "So, we are going with the absence makes the heart grow fonder route?" she replies. Listen to the full documentary near the top of this web post. Homework: A 'sin against childhood'?